Buen Camino! We start our Camino experience today as we board our flight to Madrid. Meals and Beverages served in flight. We arrive in Madrid and are met by our friendly PATHFINDERS tour manager who escorts us to our motor coach. 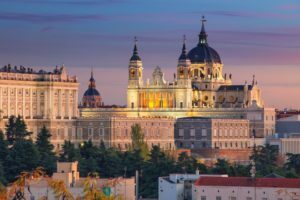 We enjoy a panoramic tour before visiting the Prado Museum, Buen Retiro Park and the Royal Palace. Dinner and overnight in Madrid. We travel by motor coach today to Sarria, our starting point for the Camino de Santiago. Upon arrival we experience a panoramic tour of the city and visit the Monastery of Samos. we enjoy some relaxation and preparation time before dinner and overnight in Sarria. 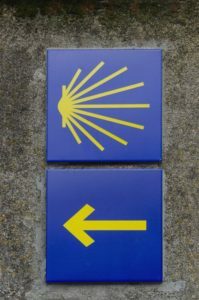 Our journey on the Camino de Santiago begins today. We make our way towards Brea and the Church of San Salvador and then continue on to Portomarin, visiting several churches along the route. We return to Sarria by motor coach for dinner and overnight. We travel via motor coach this morning to our starting point of Portomarin. As we walk towards Eirexe, we stop and spend time in several churches, including the Church of Santiago. Upon arrival we travel by motor coach to Palas de Rei for dinner and overnight. We depart Eirexe by foot this morning towards Casanova. Along the route we visit San Xulian de Camino and the Church of Vilar de Donas. Upon arrival in Casanova we meet our motor coach and return to Palas de Rei for dinner and overnight. We return to Casanova this morning and walk to Ribadiso de Baixo. We take time along the route to visit the Snow Church in Furelos, the Church of the Holy Spirit and Church of St. Mary. After we vist the Church of Santiago in Boente, we transfer by motor coach to Melide for dinner and overnight. Our route today takes us from Ribadiso de Baixo to O Pedrouzo. We visit St. Lazare Chapel and the Shrine of Santa Irene before making our way to the Baroque fountain of Healing Waters. Dinner and overnight in O Pedrouzo. 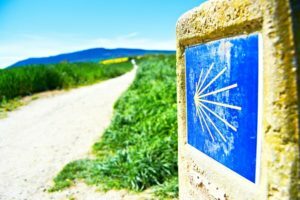 Today we enjoy our last day on the Camino as we walk through the picturesque countryside which leads to our final destination, Santiago de Compostela. Upon our arrival in Monte do Gozo we meet our motor coach which takes us into Santiago de Compostela for dinner and overnight. 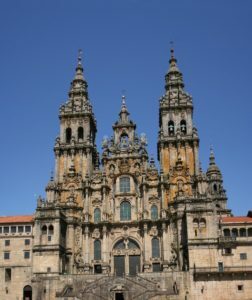 We start out early today to visit the Basilica of St. James and register to receive our "Compostela," the accreditation of your pilgrimage to the Tomb of St. James! Following the Pilgrims Mass, we experience a guided tour of the Basilica and make our way to the statue of St. James. 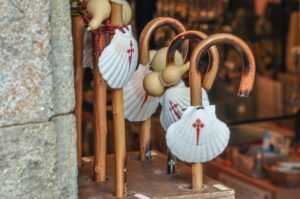 The rest of the day is yours to explore Santiago and celebrate your Buen Camino! We gather this evening for our farewell dinner and final night in Spain.